Darvish’s decision was based in part on the number of reporters looking to get answers from him, and his desire not to create a traffic jam in the somber Dodgers clubhouse. But there also seemed to be a measure of accountability in his choice, as if he felt it was incumbent on him to sit in the spotlight and answer all of the questions about why he had pitched so poorly. 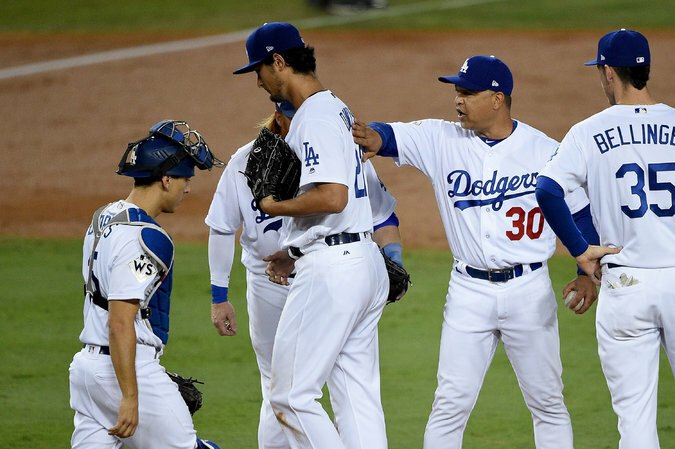 Dodgers Manager Dave Roberts patted Darvish on the back after relieving him in the second inning. On Pro Basketball: N.B.A. Coaches Had Long Stretch of Stability. Has the Chopping Block Returned? How many shots will Westbrook take without KD?